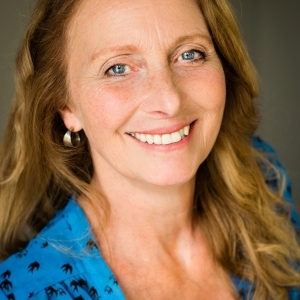 Linda Campbell is a certified Bowen Practitioner and Registered Canadian Reflexology Therapist (RCRT). Linda has always had an interest in health and wellness and was thrilled to discover Bowen therapy. After hearing of and experiencing the benefits of Bowen therapy she began her studies in Bowen “to figure out how it works”, by the end of the first day of training she was astounded by the impact Bowen therapy can have on the body and knew quite simply that people would truly benefit from such a gentle and effective treatment. Linda has continued to advance her practice with Bowen for Chronic Conditions, Specialized Procedures level 1 and 2, Importance of Symmetry (Graham Pennington), Hormonal Release (including fertility protocols) (Ron Phelan), Temporomandibular Disorders (TMD) (Ron Phelan). I believe your care should be authentic and individualized, and I will speak from therapeutic knowledge, previous clients and life experience. I want to provide you with a fresh motivating approach to your health care, as it is meant to be. Reflexology and Bowen therapy is continually improving through ongoing professional development and this knowledge flows directly to you. With Bowen Therapy you can keep your clothes on during the treatment as the areas of skin needing to be touched can easily be reached by your therapist. The session is deeply relaxing and falling asleep during your session is highly likely. The whole body is addressed during treatment with the specific areas of concern being a focus of the treatment.